industrial, vintage and stylish furniture online and in our showroom. The items that can be sent by mail are sent to the customer as quickly as possible after ordering with a maximum of 5 working days. We send these articles with Post NL and mail the barcode for track and trace to the recipient. You can order these products via our site or sent us an email, and they can be collected from our showroom in Bunschoten. Delivery costs are € 0.70 per km, a one-way trip is calculated from our store postcode 3751LR. Our delivery is a curbside delivery service. This means to the front door, ground floor. To keep the delivery costs as low as possible, our delivery service is a one person delivery. 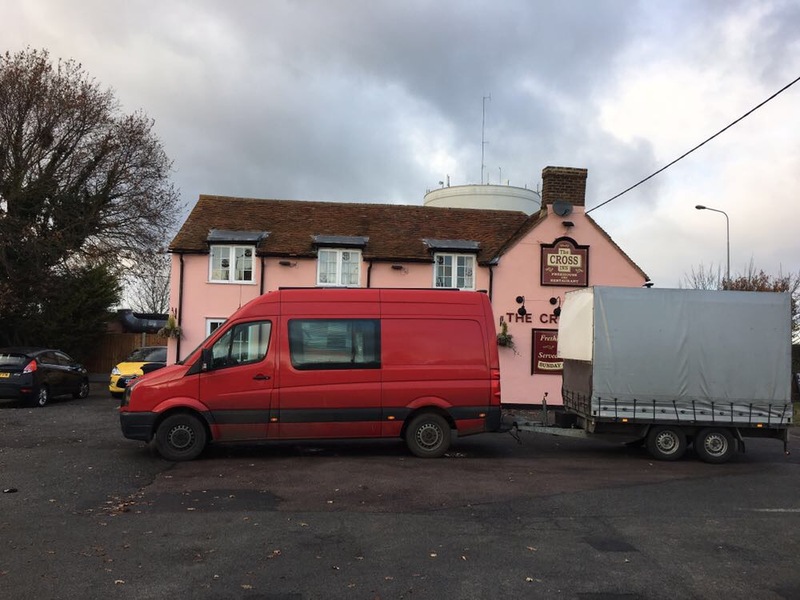 When delivering large and heavy items such as benches, dining tables and boxes, then help must be present when unloading. Whether the article can get into the property that is the responsibility of the customer. We have a special offer for delivery within 50 Km from postcode 3751LR. If one article, or more articles, and off course for the same address, has a sales price from € 250.00 or over, then we deliver this for €10.00. It is also possible to rent pieces, for example for a fair, advertising, exhibition or film. Ask for the conditions. You can mail to itsthat.com for all your questions. Including all articles present at that moment can be used at no extra cost. In case of damage, the costs will be charged to the customer. Flexible opening hours, also in the evening excluding Friday and Saturday. Parking possibility at the front door. Above prices are exclusive 21% VAT. Booking outside the regular times is possible on request. Cleaning fee € 25,00 per hour for cleaning when the space is left dirty or when used products are not put back. In a small bar along the Algarvian cost is where the adventure started. A young and ambitious English man met a travelling Dutch girl. The match was made. Life together as we know it now started in Portugal. Many years, three children and two grandchildren later, the move to the Netherlands was made. And here we are, itsthat has been open for more than 20 years. After living in Portugal and building swimming pools, you might think how do we start selling second hand furniture. Well the adventure actually started when we moved to the Netherlands and started working for a company that exported and imported furniture from eastern Europe. When this company was on the verge of closing down our combined Dutch and English trade spirit came back to life. And we decided to continue with the business. We started selling in our showroom in our village, and on the local and English antique markets and fairs and soon launched our website. Modern times came along and we now mainly sell online. 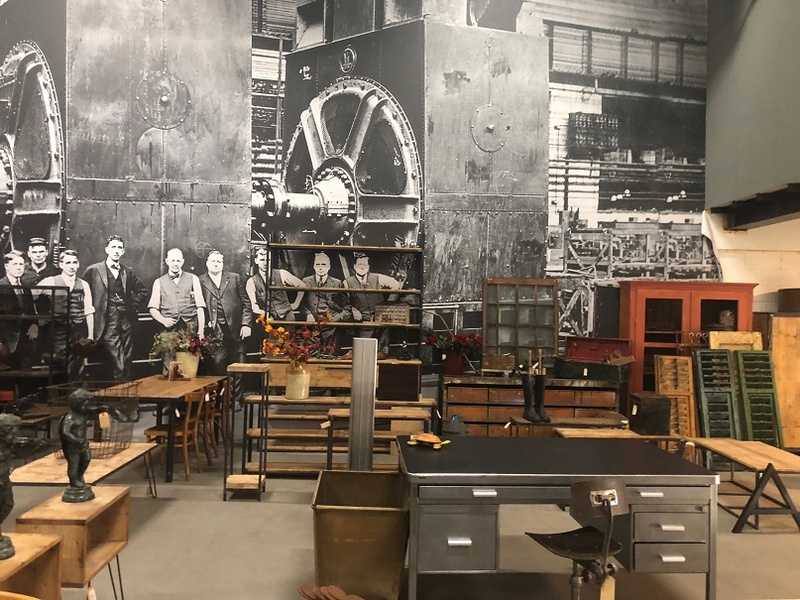 However, we have a showroom with vintage, industrial and lots more furniture and decoration in a Dutch village in the centre of Holland, with our workshop above in which we make industrial furniture to size and taste on request. Extra: open on second easter day! Subscribe for our newsletter and dont miss a thing!